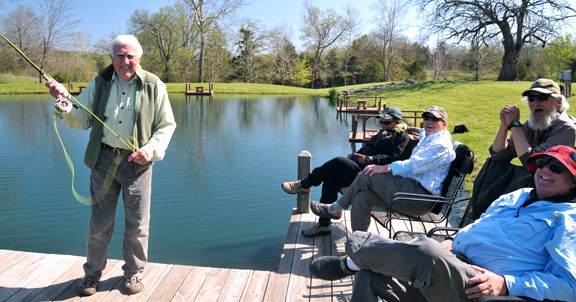 If you are interested in learning how to fly fish or how to improve on your current fly-fishing skills, we invite you to join us for a day or more of private instruction in the beautiful Ozark Mountains of Oklahoma. 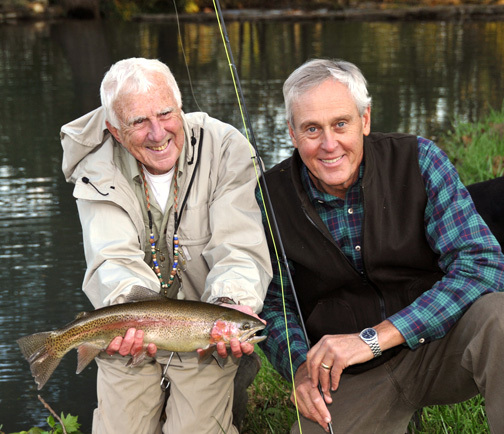 Our teaching system has evolved from over 50 years of fly-fishing experience and 35 years of educating in all aspects of the sport. 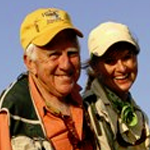 Dave designed and directed the LL Bean Fly Fishing Schools for 10 years and he and Emily have taught fly fishing around the country and in other countries as well as well as created several instructional books, articles and videos. 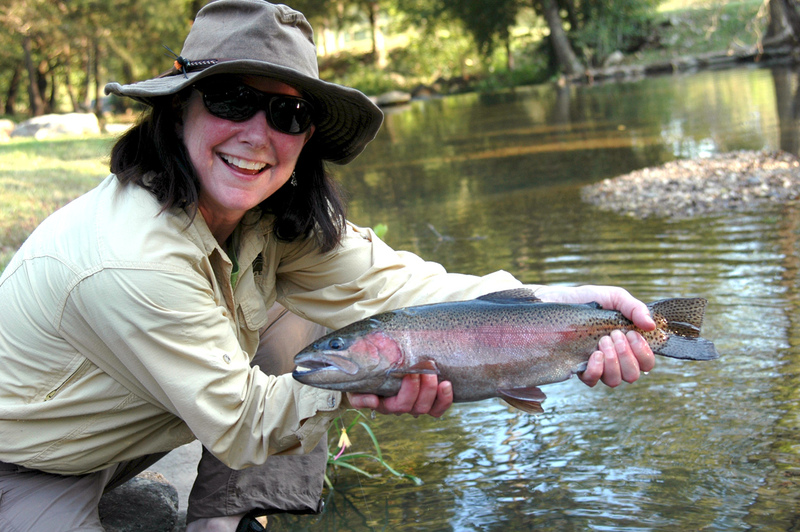 Emily has been a teaching, writing, lecturing and fly fishing partner with Dave for over 20 years. We’re located in northeast Oklahoma near Tahlequah, about 55 miles west of Fayetteville, Arkansas and about 65 miles east of Tulsa, Oklahoma. 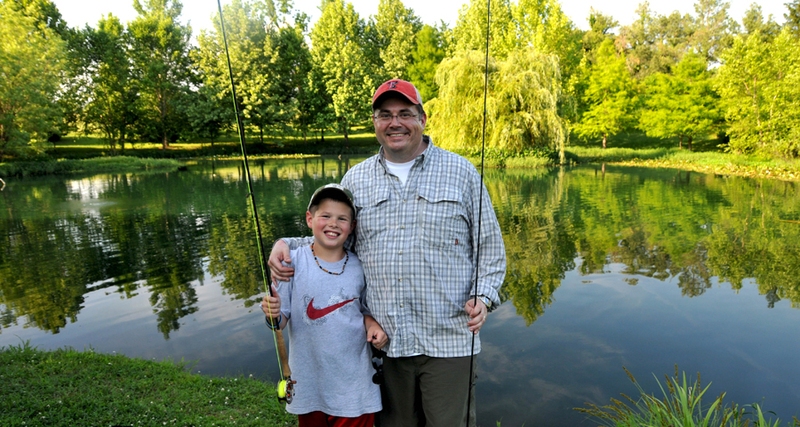 This area is a wonderful destination for the whole family to fish and vacation. There are resorts, motels and campgrounds within 30 minutes of our studio/home. 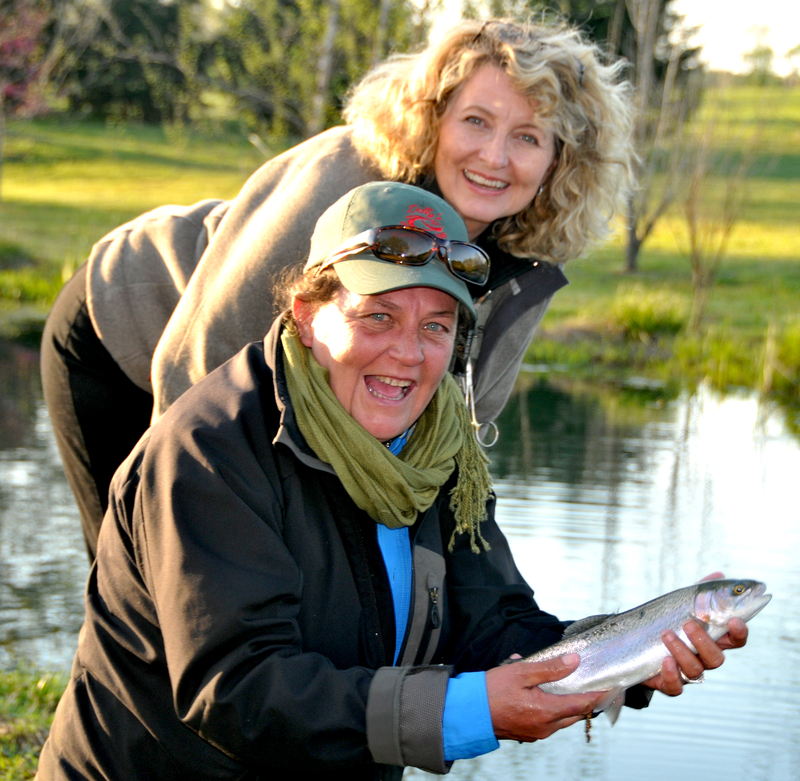 Our setting includes a lovely pond and pretty little trout stream on site. We also have access to 3 smallmouth rivers within a few miles, as well as the tailwater section of the Illinois River below beautiful TenKiller Lake. 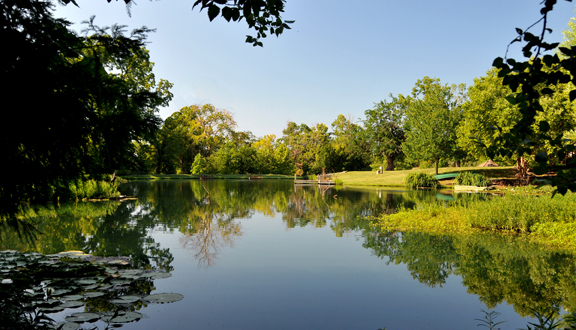 Our pond is perfect for practicing fly-casting techniques and still-water fly fishing. 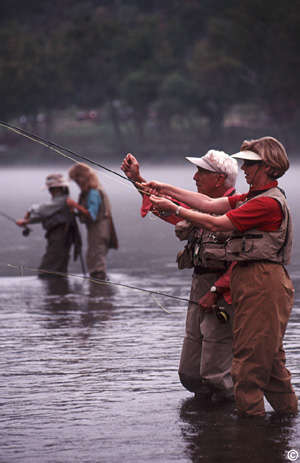 The skills of flowing-water fly fishing are taught on one of the many stream and river options in the area. 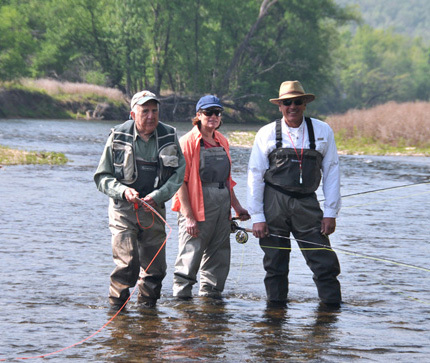 Our private days of instruction are designed in a way that allow you to learn the skills of fly fishing at your own pace, in an efficient, fun and relaxing way … because we feel that fly fishing should first and always be pure pleasure. We offer one or more days of private instruction. 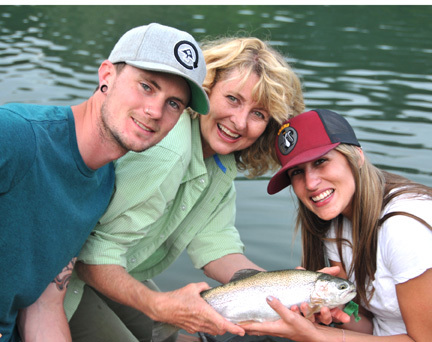 Our Day with Dave and Day with Dave and Emily are instructional days of fly fishing and/or fly tying instruction customized by you in order to work on whatever specific elements of fly fishing you would like to perfect. For example, you may have a destination trip planned and need to work on techniques for that particular type of fishing, or you may want to improve on the overall fly-fishing and/or fly-tying skills you already have. Advanced Casting: Curve, Reach, etc. We plan your day/days around what you personally would like to learn and improve. 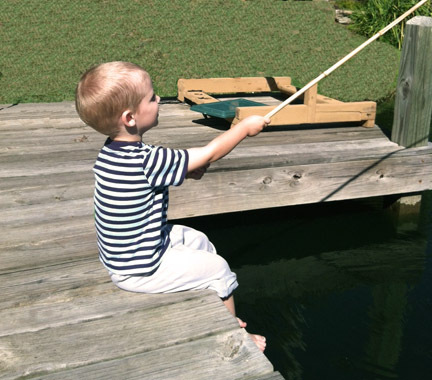 Our teaching and tackle are designed to help you easily learn an retain this knowledge in a relaxed and fun atmosphere. All the fly tackle you require can be provided to you at no charge during the school and are supplied to you by some of the best manufacturers in fly fishing: G.Loomis, Scientific Angler, Simms, Rainys Flies and Renzetti Vices. If you have questions, comments or you’re interested in learning how to fly fish, please contact us, we’d be more than happy to answer any questions you have. If you’re interested in learning how to fly fish, we can discuss a day & time that works around your schedule.